January: Philippe Gandini, Mini Jem Mk.2, JWR-1026 in the Trophée Maxi 1000 race on the Bugatti Circuit at Le Mans, 25th September 2016. February: Mini Marcos Mk.IV, WCA 842W, seen at the Stoneleigh Kit Car Show. We liked the restyled back end but failed to note the owner’s name. March: I spotted this on facebook and then lost the post so I don't know the owner. It it's you please get in touch. I suspect this car is the same as the one linked to the thumbnail. Wembaster. April: Fraser Guy's restored Mini Marcos Mk.III no. 7451 in Edinburgh. May: Cracking shot of Allan Scott piloting his Mk.3 Mini Jem no. MR-MS-1019 on the Harewood Hillclimb course. June: Arthur Morten’s Marcos Ireland Mini Marcos Mk.III in New Zealand. July: Heinrich Lux’s Mini Marcos Mk. III no 7170 in A.R.T. livery. August: Torsten Brand’s Mini Marcos Mk. IV, DH8188. 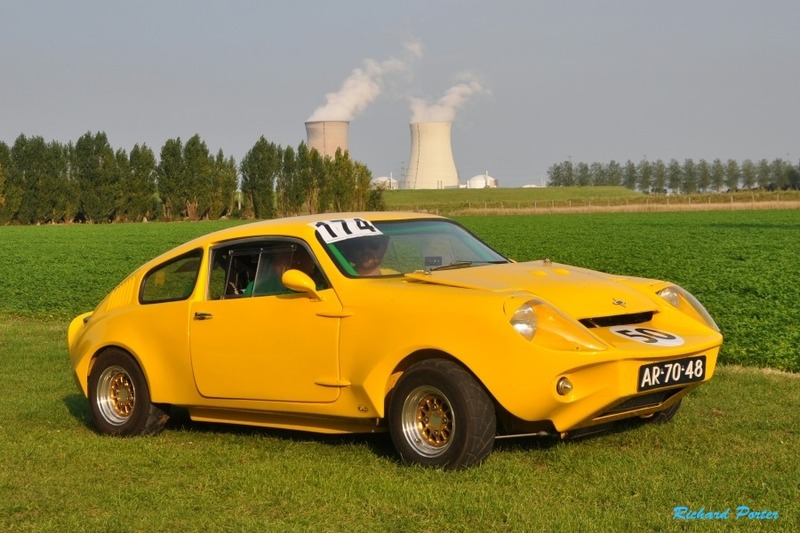 November: Koen Huybrechts’s Mini Marcos Mk. IV, MM 8020 being restored in the Netherlands in 2009. At this point the exterior was almost finished. November: Mike Raeburn’s Mini Marcos Mk.III no. 7185 photographed by Tim Goddard when he owned it.